ExxonMobil and its partners have announced they will go ahead with the Hebron oil project, despite sharply rising costs, creating Newfoundland's fourth producing offshore field and giving a big boost to an industry key to the province's recent prosperity. ExxonMobil and its partners have announced they will go ahead with the Hebron oil project, despite sharply rising costs, creating Newfoundland’s fourth producing offshore field and giving a big boost to an industry key to the province's recent prosperity. The decision, reached New Year’s Eve, means construction and fabrication of the Hebron platform will proceed. Peak employment levels exceeding 3,000 are expected in 2014, according to the Hebron website. There are roughly 1,200 people currently working on the project in Newfoundland and Labrador. The first oil is expected to be produced by the end of 2017. "Project sanction marks a significant milestone for the Hebron project," Geoff Parker, Hebron’s senior project manager and vice president of ExxonMobil Canada Properties, said in a release Friday. ExxonMobil, which holds a 36 per cent share of Hebron, is the operator of the project. The sanction decision comes despite ballooning costs of billions more than estimates from less than two years ago. In 2011, ExxonMobil indicated that it would cost $8.3 billion to build Hebron, plus another $5.8 billion to operate it until the oil runs out in three decades. Total: just over $14 billion. On Friday, the oil giant said capital costs alone now account for $14 billion. Company officials told CBC News there are some additional capital costs thrown into the mix, related to tying a separate pool of oil back to the Hebron platform. They could not break out those specific numbers. But much of the increase of billions relates to increased construction and drilling costs, plus current market and foreign exchange rates. 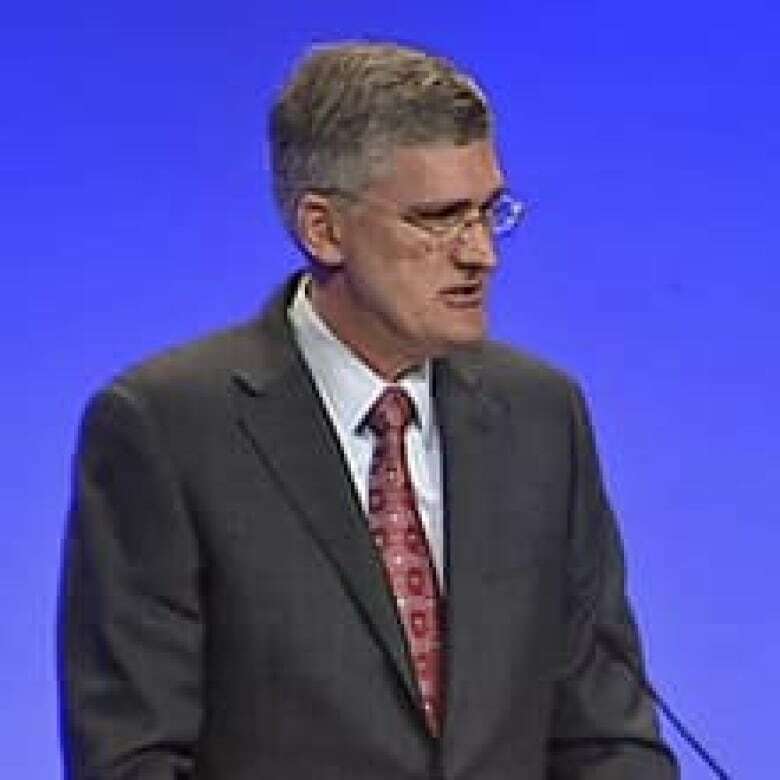 ExxonMobil confirmed that operating costs are not included in that total, driving the total cost up into the $20-billion range over the life of the project. Parker said construction of the gravity-based structure has already begun at the Bull Arm fabrication site, one hour west of St. John’s. He said fabrication work on the topsides module is expected to start this year. "Co-venturer sanction confirms we will continue with this significant project for the province," Parker said. The Newfoundland and Labrador government welcomed the announcement. "Hebron will support jobs, the economy and strengthens our province’s position as an energy warehouse," Premier Kathy Dunderdale said in a statement. Natural Resources Minister Jerome Kennedy noted that the project will add new major infrastructure to the Jeanne D’Arc Basin, which is also home to Newfoundland’s three current producing fields. "We are optimistic that the development of Hebron will lead to further offshore opportunities and additional developments in the future," Kennedy said. Last fall, the province and ExxonMobil reached a deal to end a dispute over construction of a major Hebron component. While two modules will be built in the province, a third, the drilling equipment set, will now be constructed outside Newfoundland and Labrador. ExxonMobil agreed to pay $150 million in compensation to move the work. Meanwhile, Ottawa also lauded the sanction decision. "Today's announcement is welcome news for jobs and economic growth in Newfoundland," said Chris McCluskey, a spokesman for Natural Resources Minister Joe Oliver. "Our government is supporting resource projects that increase jobs and prosperity across Canada." 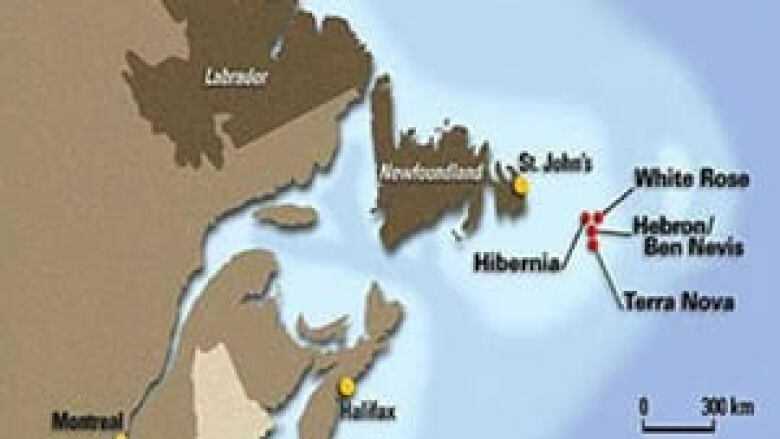 The Hebron field, located 350 kilometres southeast of St. John’s, is estimated to hold more than 700 million barrels of recoverable resources. The platform is being designed for an oil production rate of 150,000 barrels of oil per day. In addition to ExxonMobil, the other Hebron co-venturers are Chevron Canada Resources (26.7 per cent), Suncor Energy Inc. (22.7 per cent), Statoil Canada (9.7 per cent) and Nalcor Energy (4.9 per cent).